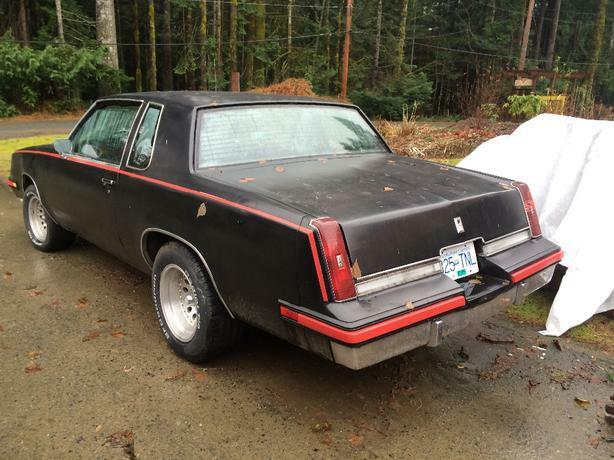 1986 Cutlass Supreme with a bored 10 over small block 400 making it now a 406. It's dressed with all new bells and whistles for accessories. This motor produces Lots of power and torque, it's show condition under the hood And a,non ac car with the clutter free clean firewall. No rust on the frame nor the body. The Doors are mint no rattles with Power windows/locks The interior is nice but the headliner is falling down. This would make a great parent/child project. I have some spare stuff to go with the car. It would be nice to upgrade the rest of the driveline and eventually paint or wrap it but my interested have changed.